After six months of running, I would like to start a new challenge. I’ve shared my runs on several platforms with the hashtag #ww80k. Latest thing was my new tumblr called ww-running, so I don’t spam everyone on facebook with my new achievements, virtual trophies and quickest runs. I will continue with that, but it is also time for something new #80ktillxmas. 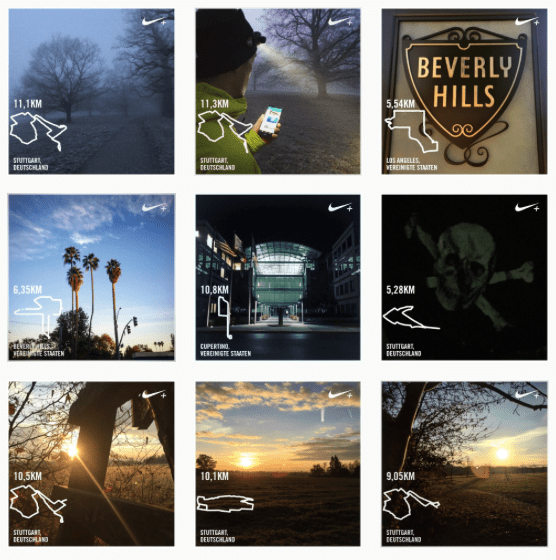 My goal was to run 80k each month to stay fit and to get Nike+’s gold trophy. This was a hustle at the beginning, but became kind of a routine already. I even managed to run 160.9k in November to get the 100 miles platinum trophy from Nike+. Yeah! For November I ran 126k already. I track stuff, so I see the progress of my performance. E.g. I can run 10k much faster now. It is just amazing to get feedback instantly. A few likes and comments. Other runners comment on speed and distance. Nike+ is sometimes struggling with their app and website, but never the less to be able to share your route and pace with an actual picture of this run is great. Running at different places around the world is like collecting stamps in your passport. I have a whatsApp group with likeminded runners. We will all try to finish 80k in December till Christmas on December 24th. We will share our runs with the hashtag #80ktillxmas. Only runs that have been tracked by e.g. runtastic or Nike+ are valid. Vorheriger Beitrag homeProject "Fitness"	Running in October is great. I ran 75k already.